Festive seasons are all around. And who does not want to be seen glamorous in these festive days? This time our hair needs some extra nourishment or you can say something different from the other time of the year. But our pocket does not permit us to go for salon every time. Then what to do? I have a very easy solution to make our hair looks salon like. Yes, make your hair look gorgeous and fabulous everyday by using new LIVON SERUM. Livon serum is best applied to damp hair. But in case you’re on-the-go, try and damp your hair a bit! Livon serum gives you super smooth, Ultra-glossy salon finish hair anytime, anywhere! Just-washed hair is tangled and prone to breakage. Protect your hair from breakage by applying livon serum after every shampoo. Use on shampooed and towel dried damp hair. Take a small quantity to start with, in your palm. Ease your tangles by applying gently along the hair length: start with the middle portion and work your way to the bottom of the hair length. Use the last portion left on your hands to control the frizz on the top part of your hair. Wind & pollution can cause frizz and tangles to recur. Hard combing to remove these tangles can lead to breakage. A few drops of livon serum will help you untangle your hair easily and protect it from breakage during combing. Apply a few drops gently to the ends of the hair. Honestly speaking, this very lightweight LIVON SERUM helps me in controlling the frizzy hair and making hair softer, smoother and shinier. Thus I love my hair and I love LIVON. It gives my hair a salon finish. So now I can say #SalonNahiLivon. Now your turn. Do you want to take this challenge excepted? *If any doubts comment below. 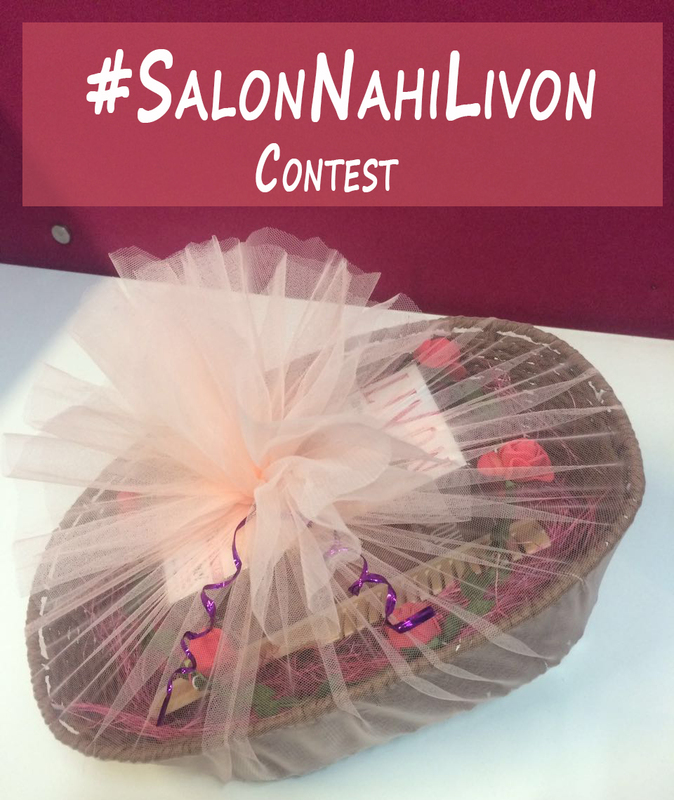 Top 2 entries (along with pictures) will receive an attractive hamper by Livon. Pic sent via FB message. Here is my entry for #SalonNahinLivon entry on Twitter.. Here is my entry..tagged you!